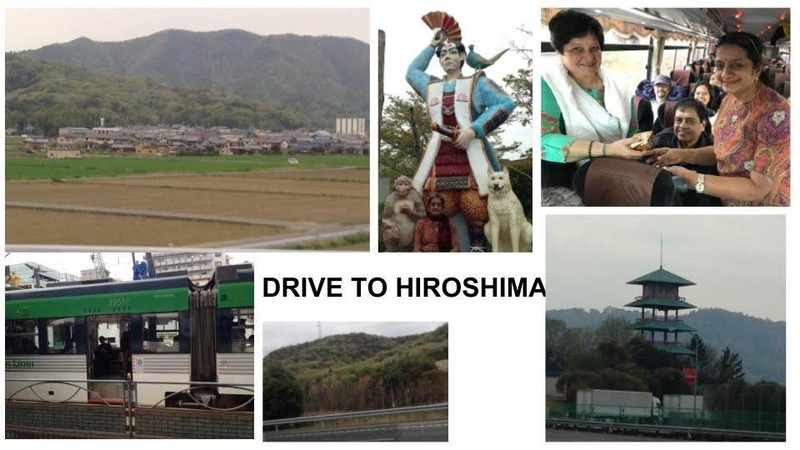 We were driving to Hiroshima from Osaka - a good 380 km drive. As were going from there to Mt. Fuji the next day by bullet train which had luggage restrictions, the bigger luggage of the entire group was being couriered directly from Osaka to our hotel in Tokyo. So we had packed a small bag with the necessary stuff needed for a day - clothes, jackets, toiletries, snack packets etc. We started off in our coach at 9.30 after breakfast and were all set to make the most of our long 6 hour drive. We spent the first half an hour watching the scenes that whizzed past. The cities had a network of roads and flyovers as well as metro lanes. We could also spot office-goers dressed in suits, scurrying to their place of work. We could see solar panels, and multi-level car park. As we passed the suburbs / country side, we could see mountains as well as greenery. Soon we played 'Antakshari'. It was followed by 'Musical Tambola' (customized Housie game devised by me) - everyone took part enthusiastically in both the games. lovely Japanese hostess, clad in a pretty sari. Before we entered, there was another lady pouring water as we washed our hands. The restaurant was not upstairs as usual. It was also more spacious - the extra space had interesting items like simple skirts and aprons and accessories for sale. 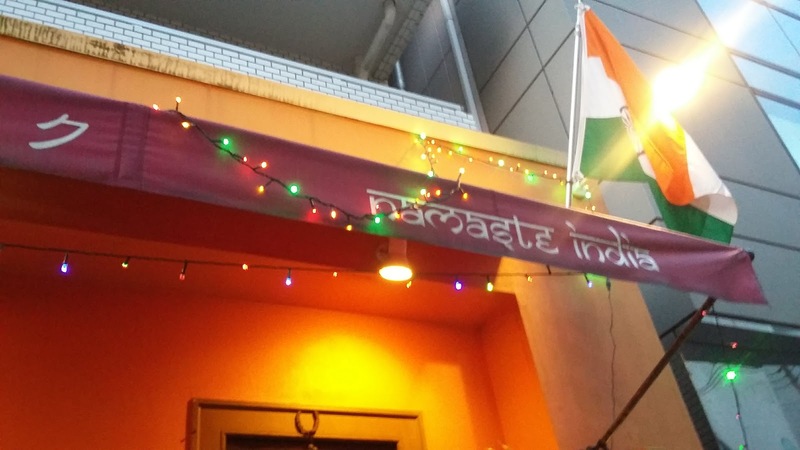 The food was delicious and included aloo gobi, kadhai paneer, pulao, kheer etc. We thanked our amiable host, who was carrying herself very well in her sari. We took a brief siesta during the drive post lunch. Later our local guide Iako enlightened us with tidbits about Japan. Immigration laws are very stringent in the country. 100 % of the population are Japanese in the countryside, and 95 % in cities. Japanese are proud of their language - even TV channels use Japanese language. Iako would get curious and suspicious looks whenever she used English as the others would wonder what she was speaking. They are very cultured and humble. The Japanese were mild and non aggressive. But as Iako put it, "We believe in self defence. If you kick me, I will kick you back." Very straightforward and fair philosophy. The average life span of the Japanese is pretty high. The secret - less salt, less sugar, and natural foods, with least cooking. 28% of the population are senior citizens and around 5000 are above 100! To maintain the balance, the government has relaxed the rule of one family, one child and a woman can have 1.4 babies - that is, some can have up to two babies! Adoption is not allowed. Ladies are treated as secondary citizens - all cleaners are ladies too. But then divorce rates it seems are high - the man who spends his working years engrossed in office, finds himself superfluous at home at the time of retirement, and neglected or even thrown out. Suicide rates are phenomenal too! And the popular way is to jump out of trains or falling in front of them. An interesting fact is that every house / hotel room has sliding doors, and at the entrance area are lined a group of essentials - footwear, candle, matchbox, and flashlight. This is for use at emergencies because of the constant threat of earthquakes. All of us have read in history about the US bombings in Hiroshima and Nagasaki. And we'd expect the Japanese to have negative feelings if not outright revengeful thoughts against the Americans. But we were pleasantly surprised to hear Iako speak in favor of the US - she said the Japanese look up to the US for their support and security! She told us about the surrender of Japan after the 2nd World War, followed by seven years of military occupation by the US. During this period, American occupiers helped to rebuild Japan, shared American technology and brought about political as well as economic reforms to transform Japan into a democracy. The post occupation period witnessed the prospering of the relationship and the emergence of a strong alliance and cordial relations between the two countries. We reached Hiroshima at 3.30 pm. It was with mixed feelings that we landed there - excitement to visit a historical place and apprehension about what awaited us at the Museum. Meanwhile our guide threw more light on the US bombing. On 25 July 1945, orders were issued by the US to deliver a 'special bomb' attack on selected cities in Japan. The first target city chosen was Hiroshima. Described as 'an important army depot and port of embarkation in the middle of an urban industrial area', it was an ideal target for bombing. It had such a good size that a large part of the city could be extensively damaged, with the adjacent hills aiding in focusing the effect and considerably increasing the blast damage. Kyoto was second in the list originally beacause of its military and industrial significance. The only person deserving credit for saving Kyoto from destruction was Henry L. Stimson, the Secretary of War at the time, who was a big fan of Kyoto ever since his honeymoon there several decades earlier. He took up the matter with President Truman and eventually managed to get Nagasaki, a major military port, replace Kyoto in the target list. At 8:15:17 a.m. on 6 August 1945, Little Boy, the first atomic bomb to be used in war, (consisting of uranium isotope 235 core, protected by hundreds of kg of lead), was dropped by the United States Army Air Forces from the Enola Gay, a B-29 bomber. Within 43 seconds of being dropped, the bomb exploded directly over the Shima Hospital, very close to the Genbaku Dome. Because the explosion was almost directly overhead, the architectural skeleton and dome survived the blast that killed everyone inside the building instantly. The tremendous force of the atomic bomb obliterated the city of Hiroshima. of the Motoyasu River into which many fleeing burn-victims had jumped. It acts as a reminder of the force and untold suffering caused by the bomb, while continuing to symbolize the fight to rid the world of nuclear weapons and bring about world peace. The building was the only structure left standing near the bombed site. 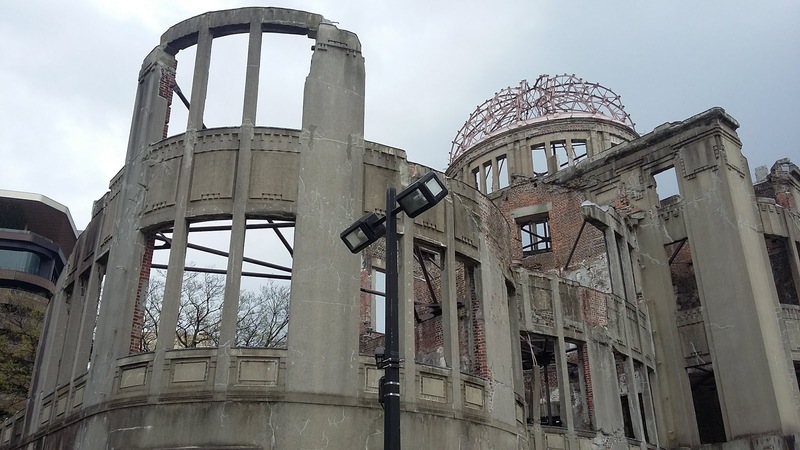 Soon commonly called the Genbaku ("A-Bomb") Dome, it became a subject of controversy, with some locals wanting against and some in favor of preserving it as a memorial of the bombing and a symbol of peace. 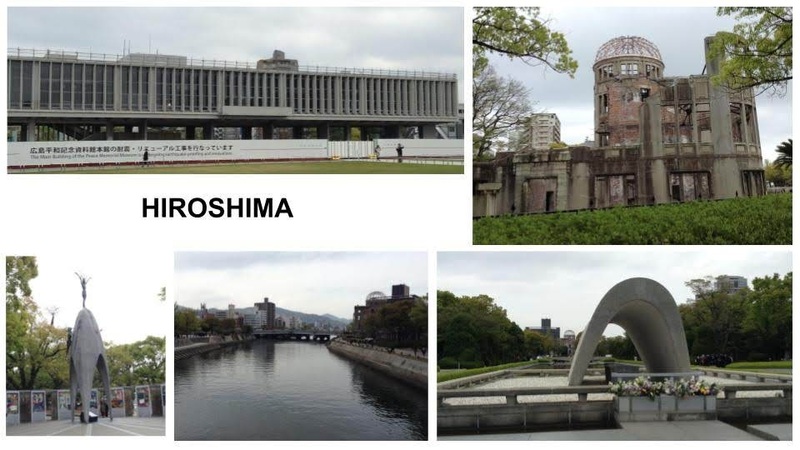 Ultimately, while Hiroshima was reconstructed, the skeletal remains of the building were preserved. Originally the brick building inaugurated in 1915 was the Hiroshima Prefectural Commercial Exhibition Hall. The Genbaku Dome has undergone two minor preservation projects to stabilize the ruin with minimal changes. The Hiroshima Peace Memorial Park was completed in 1964 around the Dome, which continues to be the park’s primary landmark. Near the Dome is a huge tree which some of us would like to believe survived the bomb attack. 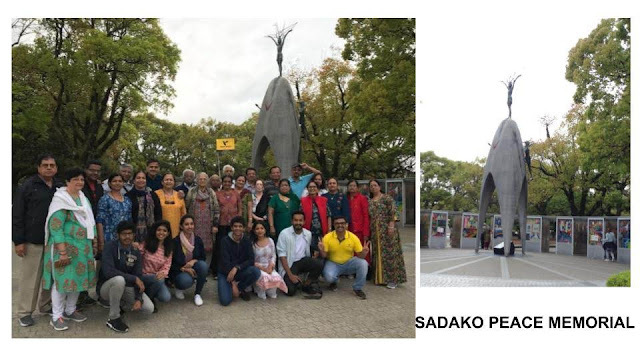 Children's Peace Monument, also called the Tower of Paper Cranes, was built to commemorate Sadako Sasaki and the thousands of other innocent children killed due to the atomic bombing of Hiroshima. Sadako was a young girl who was exposed to the radiation of the blast at the age of two and died ten years later from leukemia. While in hospital Sadako believed that if she could fold a thousand paper cranes, according to Japanese legend, her wish to survive would be granted. Sadako had reached 644 paper cranes when she died on October 25, 1955. Her statue can be seen at the monument, holding a wire crane above her head. Sadako’s friends finished folding the cranes to reach 1000. They were also instrumental in building this monument to their dead classmate and to the thousands of children who died from the bombing. Streams of multicolored paper cranes symbolizing the pursuit of peace, keep arriving from all over the world and from visitors at Sadako’s memorial. The bell in the center of the monument is also in the shape of a gold paper crane. The Peace Bell was installed with the aim of abolishing nuclear weapons and ringing in world peace. A world map without national borders is on the surface of the bell to symbolize a single, unified world. People are free to ring the bell, with prayers for world peace. Peace Flame, was lit on 1st August 1964 in the hope of a world without nuclear weapons. The flame will continue to burn until nuclear weapons are abolished worldwide. The pedestal was designed in the image of two hands pressed together with the palms facing the sky. Then we have what is commonly known as the Cenotaph for Atomic Bomb Victims, officially named the 'Memorial Monument for Hiroshima, City of Peace'. The names of all those who lost their lives are inscribed inside the central stone vault regardless of nationality. Every year, new names are discovered and added to the list. The Cenotaph, Peace Flame and A-Dome are aligned in a line. circumstances in Hiroshima and elsewhere that led to the bombing along with a detailed explanation of the bombing itself. There were photographs of Sadako Sasaki and her touching story. 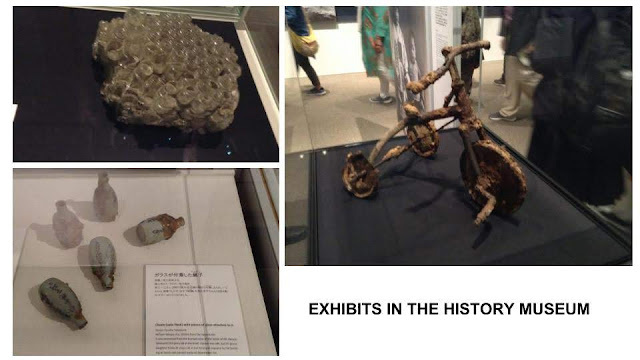 The exhibits are proof of the unimaginable impact of the A bomb. 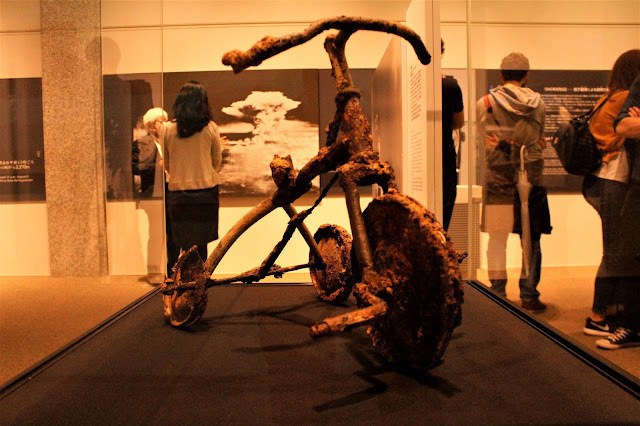 Look at the impact of the bomb on this sturdy metal tricycle. Doesn't it wrench your heart and scar your emotions? Every visitor was emotional while observing the exhibits and there was silence and calmness pervading the air. President Obama had visited the Museum in May 2016. His message is one of the highlights as exhibit. There are also the paper cranes he had made and presented. Our guide jokingly revealed that he had practised making of paper cranes on his flight to Japan! 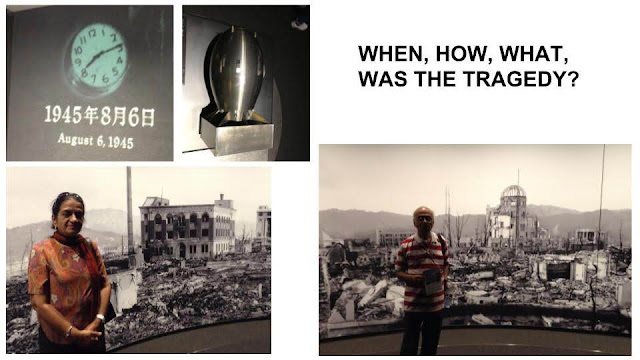 When we left the place after an hour, it was with a heavy heart as the visuals of the disaster of 1945 kept playing in our mind's eye. Everyone was quiet, suppressing and controlling their emotions and sending up prayers that humanity never sees such a tragedy in future. We could see the new face of Hiroshima with high rise buildings and modern technology everywhere - it seemed to have risen like the sphinx. A change of mood was welcome at this juncture - shopping provided just that. 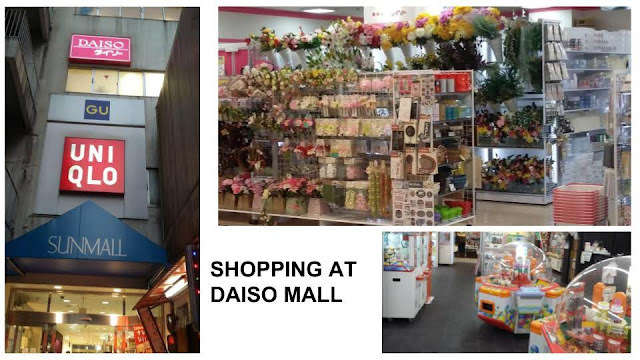 We went to Daiso Mall which looked inviting with its array of interesting goods. Most of them were priced at 100 yen, some in multiples of 100. With prices clearly marked, we had no problem filling our shopping bags with our choices. and then checked in at Vessel Hotel, Higashi, Hiroshima. Next day we were to take the Shinkansen and go to Mt. Fuji. Do a separate haul blog too,where you write all about the stuff that you bought from various countries.It will be a fun read!